Book Dragon's lair: Another Challenge! This challenge has TWO due dates, the first: to finish reading your self-improvement-type book. The second: to apply one or more principles from the book and apply it/them to your life. 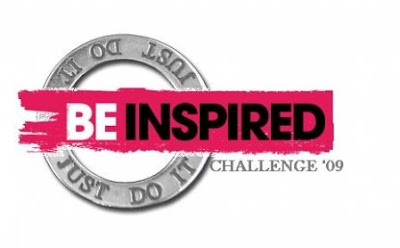 The challenge is being hosted by MizB who has several challenges going this year. To find all of them (5) go here and to read the rules and sign-up for the Be Inspired challenge, go here. Now, one of my non-reading goals is weight/fitness related so I will be reading a lot on the subject. How wonderful to find a challenge that allows me to count my reading, encourages my applying the principles AND being able to say that I completed a challenge! Hey, BookDragon! Part ONE of this challenge ends today! Which book did you choose? What have you been inspired to do for Part TWO? Stop by the challenge blog and let us know!